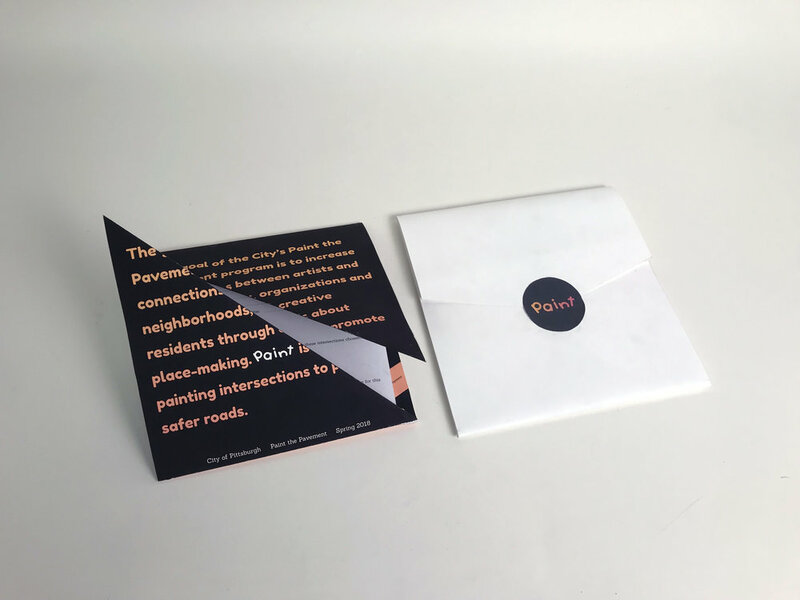 Paint the pavement is a nationwide program that promotes safer communities through the use of public art. 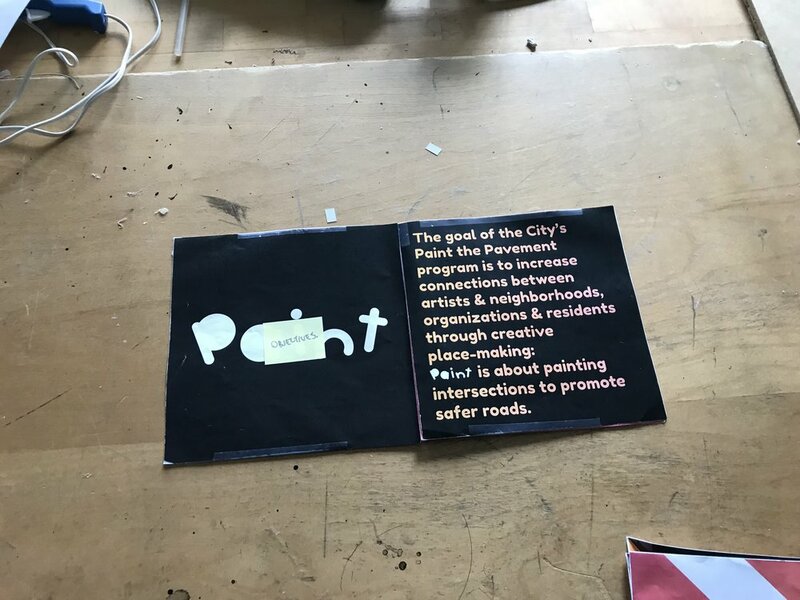 By collaborating with local artists, this program targets the safety of high-traffic intersections and creates murals painted on the roads themselves in order to direct the driver's attention away from distractions. 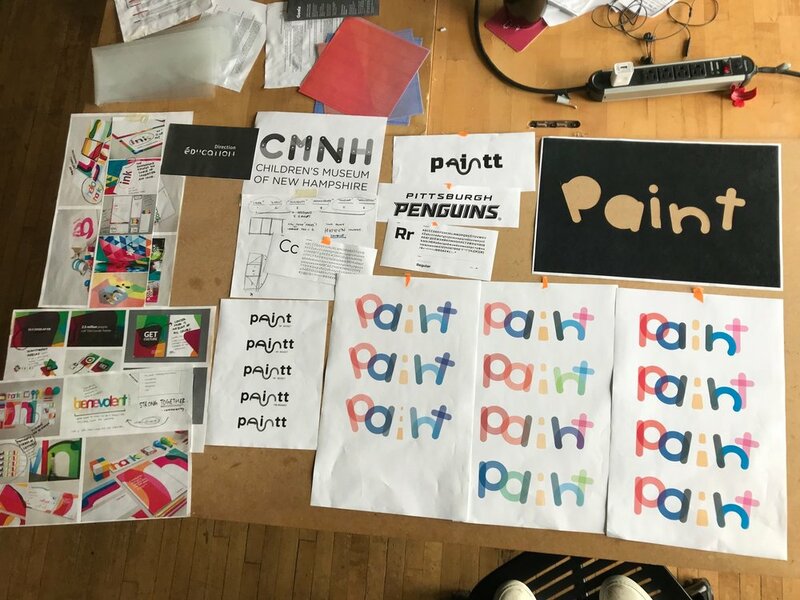 In 2017, Pittsburgh was chosen as one of the cities to participate in Paint the Pavement, and I was tasked with creating an identity system that would attract locals to participate. The system had to represent the program's values as well as encompass the city of Pittsburgh. 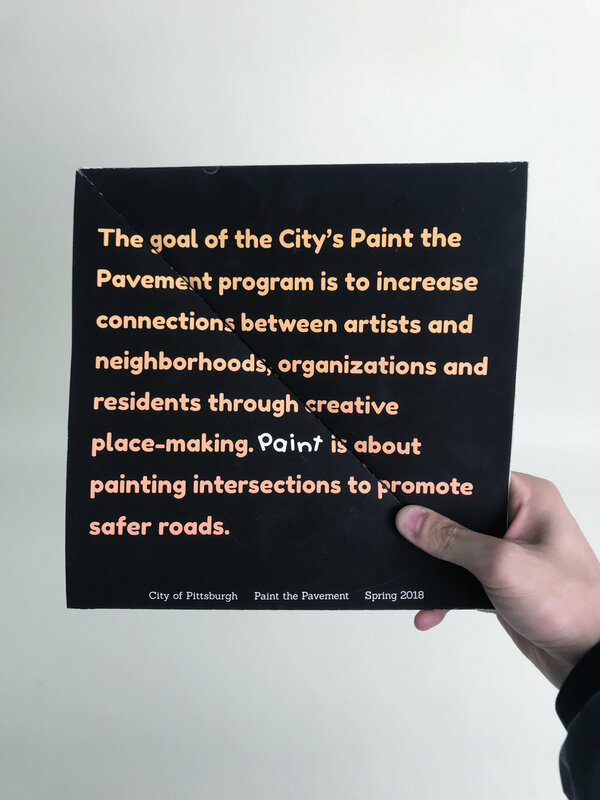 The goal of the city's Paint the Pavement program is to increase connections between artists and neighborhoods, organizations and residents through creative place-making. 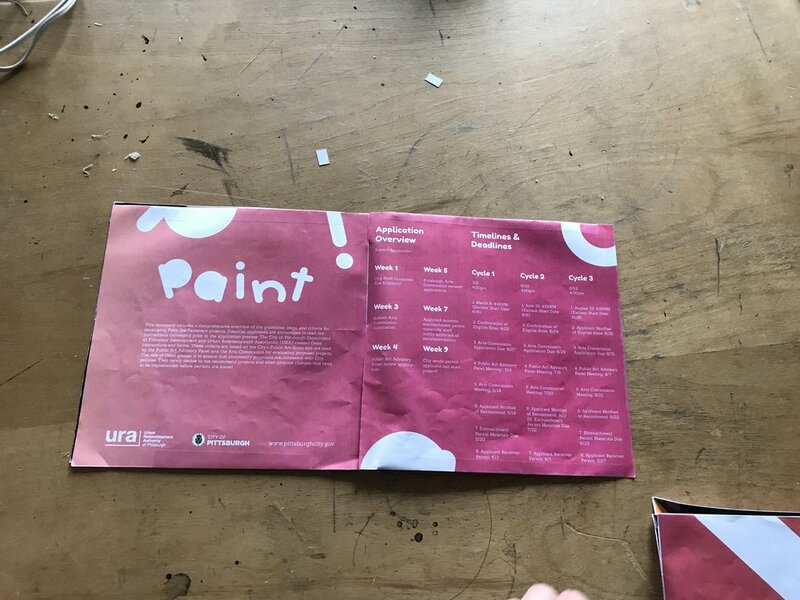 I was presented with a list of information that was to be included in the pamphlet, including Paint the Pavement's application packet. Organizing this large amount of information and arranging it with this system was the highlight of the project. 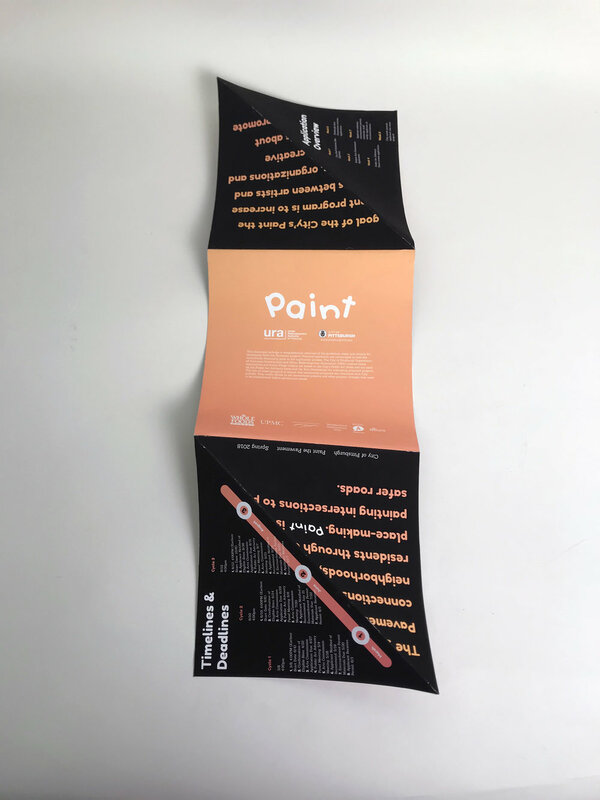 The end-product of this project consisted of a word mark, pamphlet, and a poster. 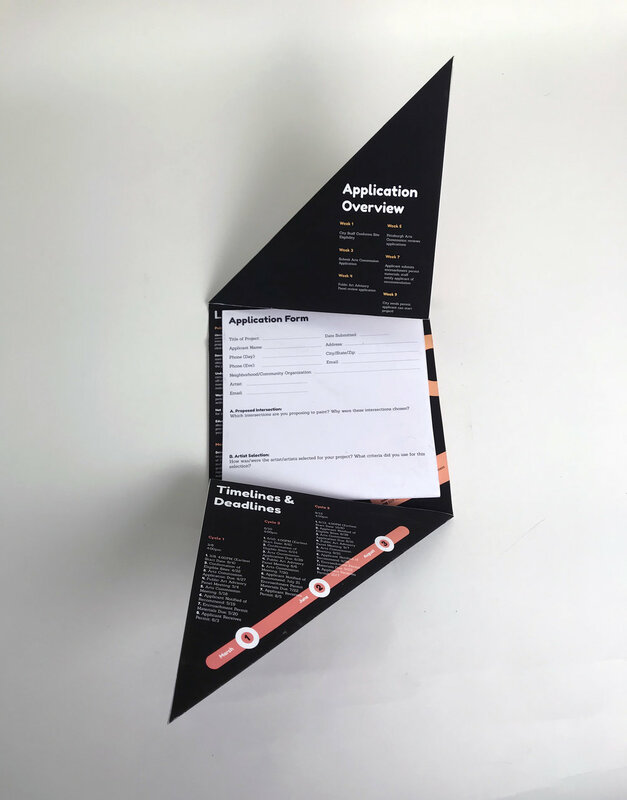 Pamphlets are to be sent out to my target audience of college students in order to promote and guide them with the application process. I started off by designing a wordmark that would encapsulate my brand system. 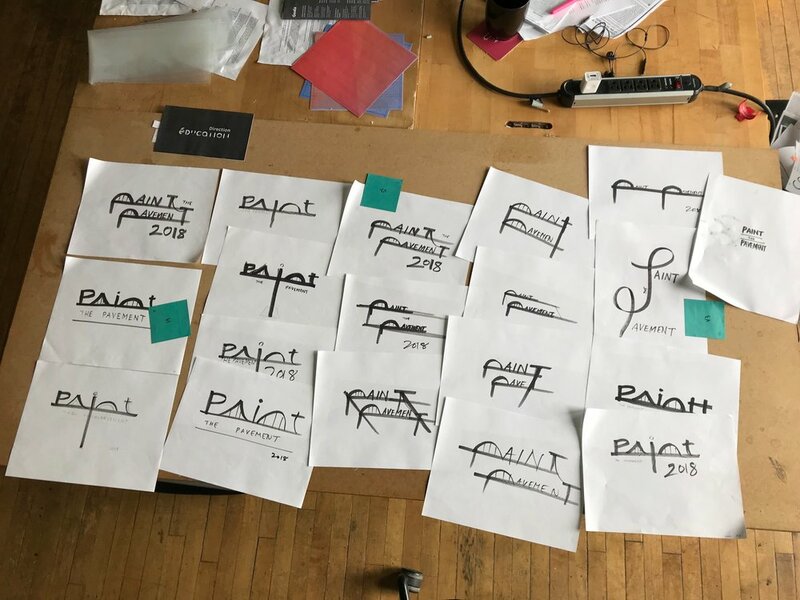 Initial explorations were done by hand, then moved on to digital. My target audience was high school students, so I wanted the visual language to be friendly and striking at the same time. 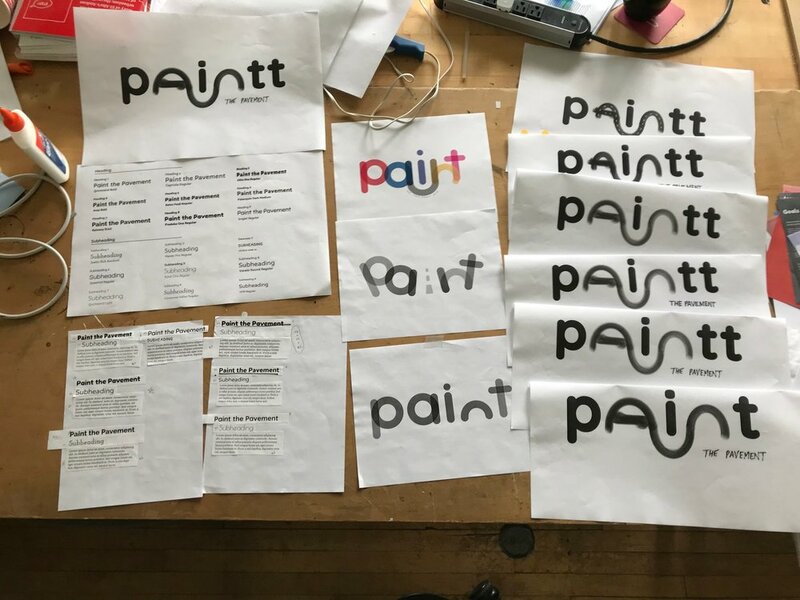 The final wordmark was inspired by the use of circles, and emphasized the “Pa” for Pittsburgh in “paint” by omitting the inner circles of the letters. 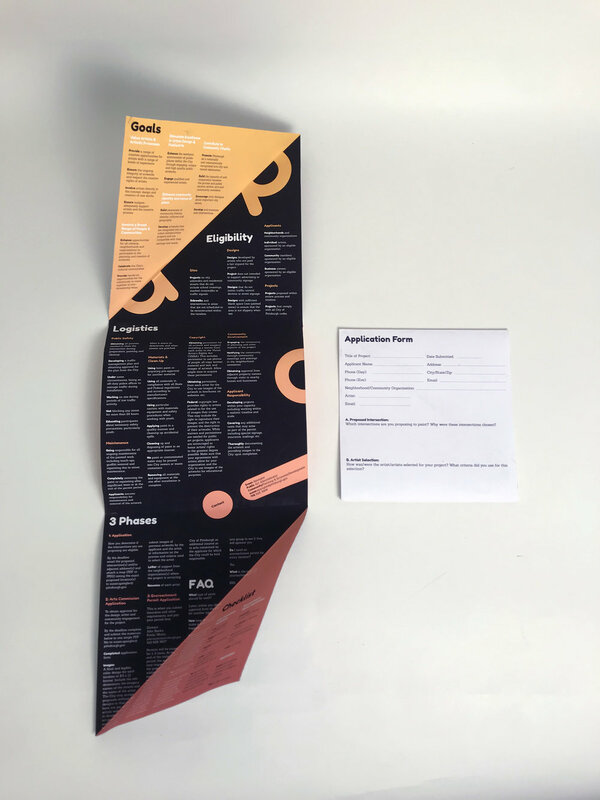 I explored paper prototypes to figure out what kind of form I wanted to give my pamphlet. 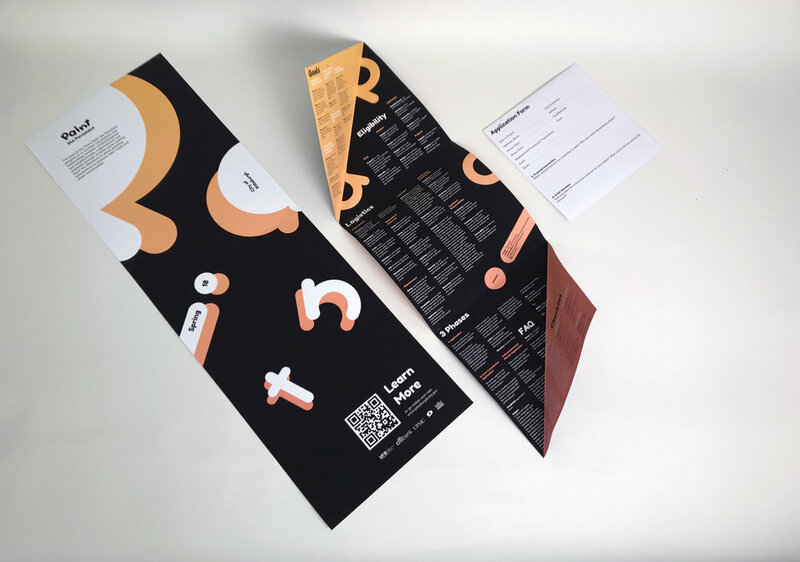 I decided on a multi-fold pamphlet that used its shape to resemble a road and to give it an element of surprise. 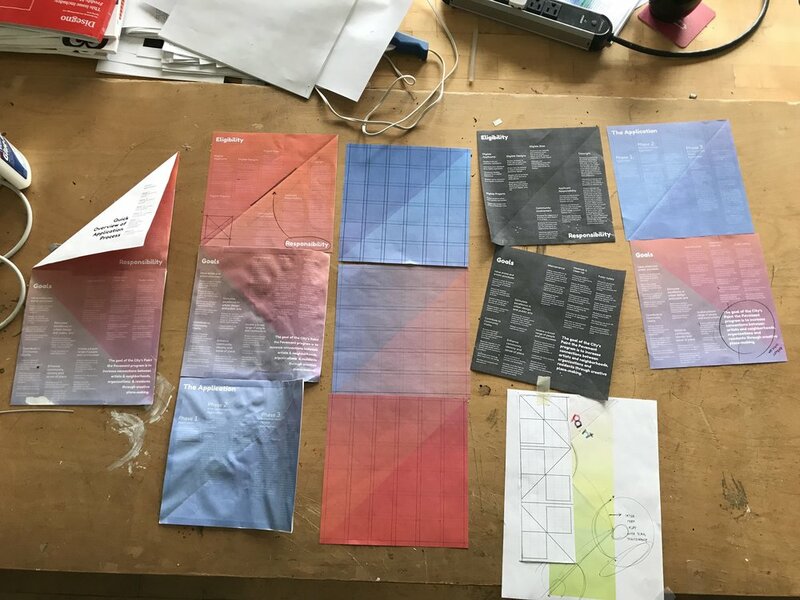 After analyzing the content, I decided on a five (initially six) column grid structure that would expand out across the entire height of the pamphlet. 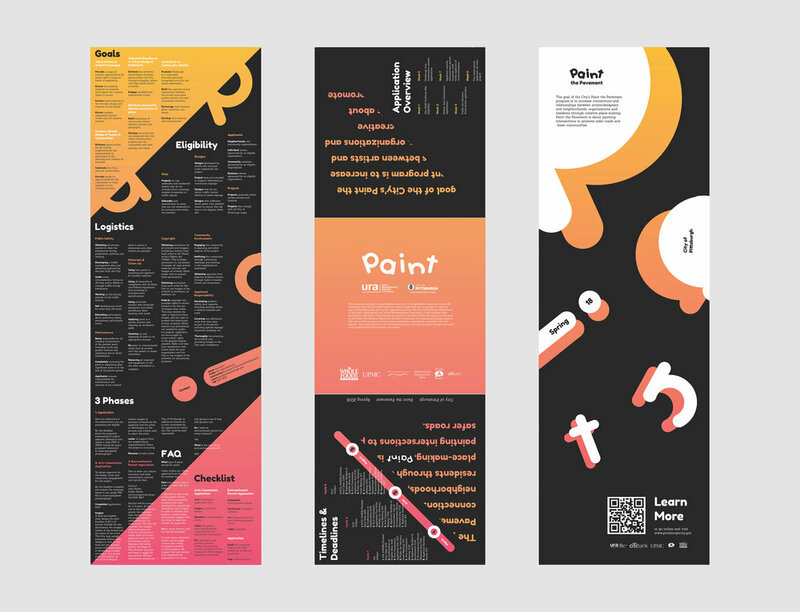 For color, because my target was high schoolers, I wanted to make it high contrast, while playful, to pull people in; the gradient of bright orange/pink against the black worked extremely well. I kept the application form the same grid structure as the pamphlet. 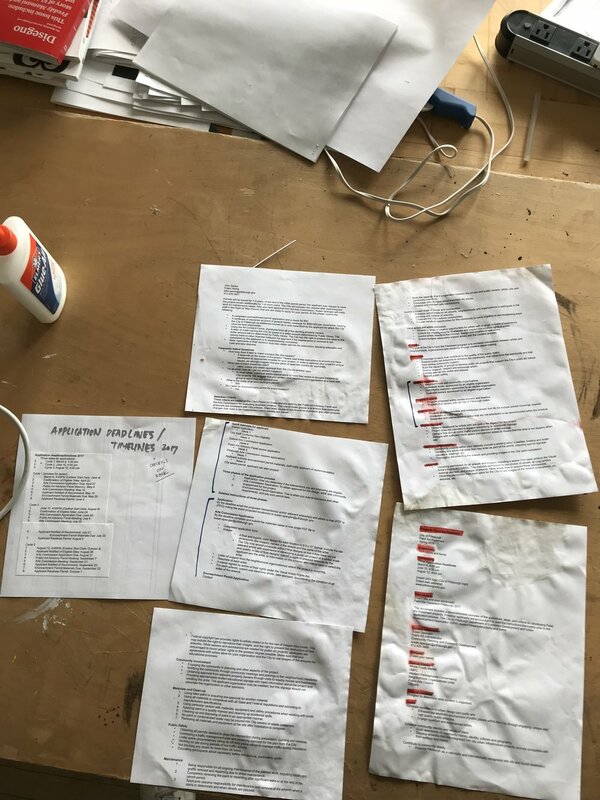 Initially, I had made it multiple, flippable pages with information that was taken from what was originally on the pamphlet, but in the end, I kept it one, double-sided sheet with information that was key to an application. 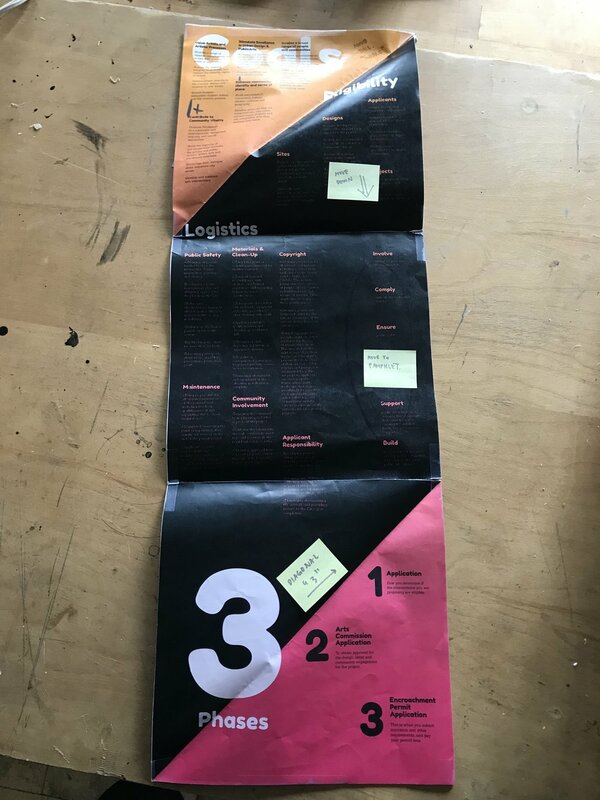 For the poster, I kept the same dimensions as the pamphlet to keep the system cohesive. 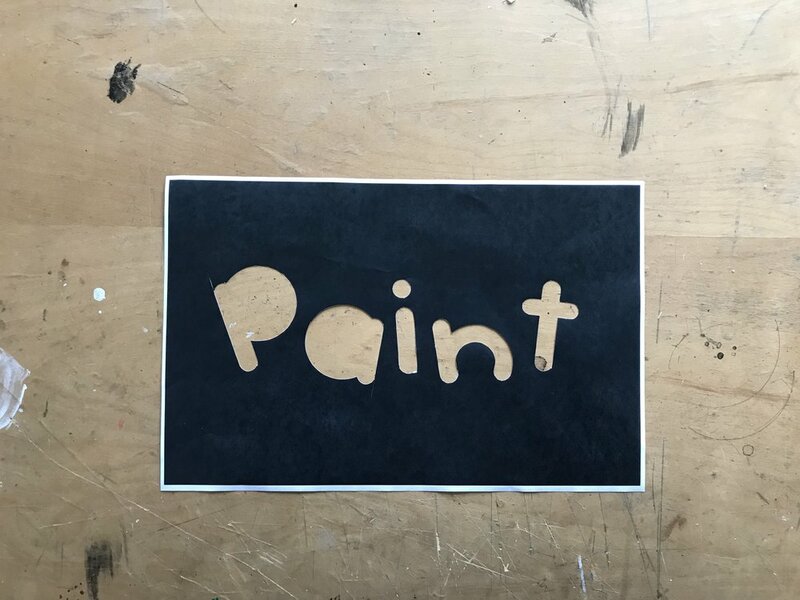 I wanted it to give the impression of a “pavement” that had been painted on. On it is a QR Code that links viewers to the PTP website.